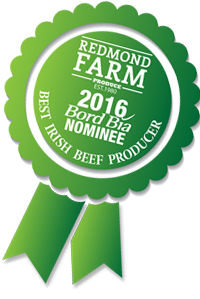 Redmond Farm in Craanford, County Wexford, is approximately five miles outside the market town of Gorey, is a large farm business spanning 120 hectares of grassland, tillage and vegetable crops. Our beef programme focuses on the rearing of over 500 Angus-cross heifer calves each spring. These cattle are carried through to finish in a coordinated manner so as to consistently produce 10 high-quality heifers per week. 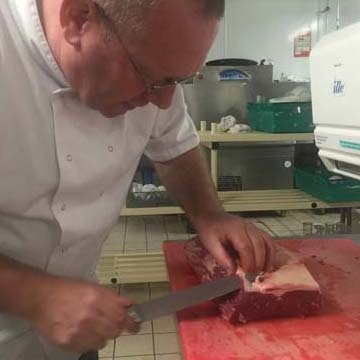 The resulting cuts of beef are supplied to our family’s two hotels in Gorey; the Ashdown Park and the Amber Springs. 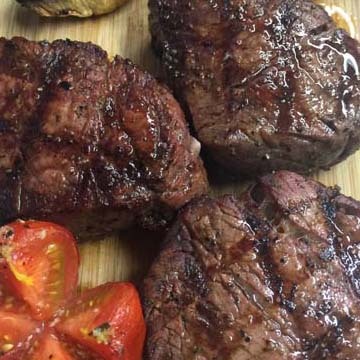 Both destinations have earned a reputation for excellent dining, featuring the Redmonds’ tender beef, their own potatoes and other vegetables under the One Farm Two Hotels One Vision. The vast majority of the cattle’s feed is grown on-farm, including grass silage, maize silage, fodder beet and cereals. All heifers receive a period of supplementary feeding prior to finish, to promote marbling and consistent eating quality. 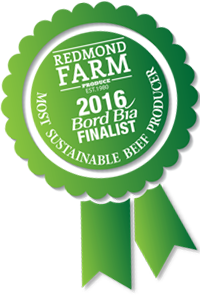 Redmond Farm is a herbicide, pesticide free environment and works under the Origin Green sustainability programme. 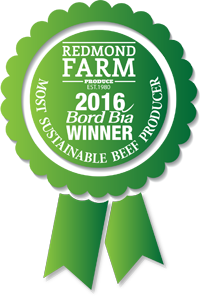 Beef production from grass is one of Irish farming’s greatest strengths and something Redmond Farm manages extremely well. The farm consists of 300 acres of which 500 Angus cross heifers are finished annually. The aim is to produce as much feed on the farm as feasible. 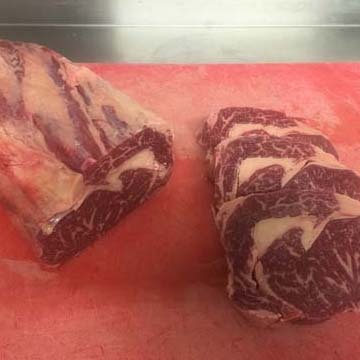 The entire process from farm gate to hotel plate is within a 8-10 km radius and is one of the reasons why Redmond Farm is an Origin Green award winning farm. 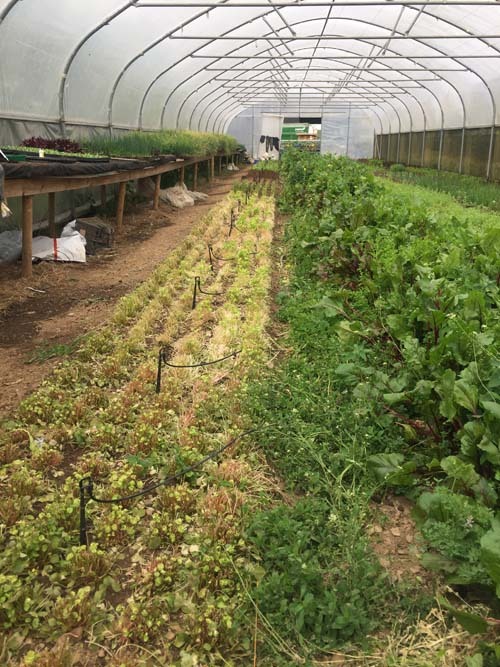 The polytunnels are used to extend the growing season on Redmond Farm. Tomatoes, salads & herbs are started off from seed straight after Christmas. Broad Beans & the earliest peas will be sown throughout October for Summer 2019. 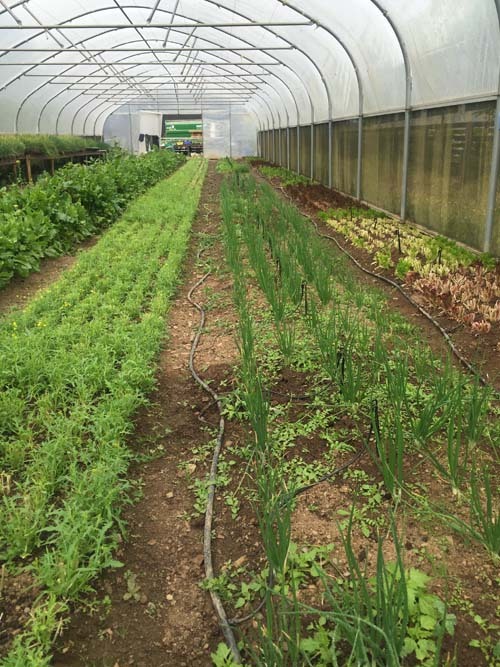 The poly tunnels offer protection from wind & rain and enable us to continue cropping salads & herbs well in to the Autumn & early Winter. We also use them to ‘season’ field grown pumpkins & squash- placing the pumpkins on benches and turning them regularly to harden the skin & ripen them. 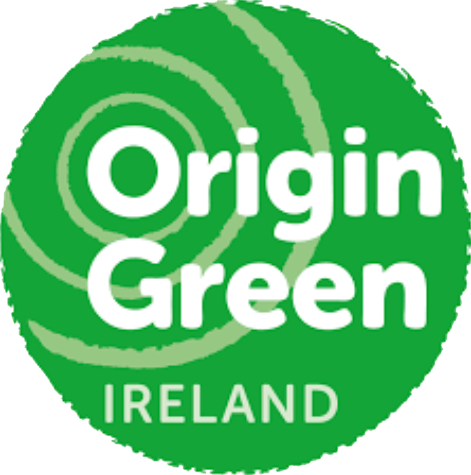 Origin Green is Ireland’s food and drink sustainability programme. It is a voluntary programme, led by Bord Bia, that brings together our food industry – from farmers to food producers, retailers to foodservice operators – with the common goal of sustainable food production. This programme enables Ireland’s food industry to set and achieve measurable sustainability targets that respect the environment and serve local communities more effectively. We follow a five year crop rotation in the fields which means that no crop is grown in the same plot consecutively. 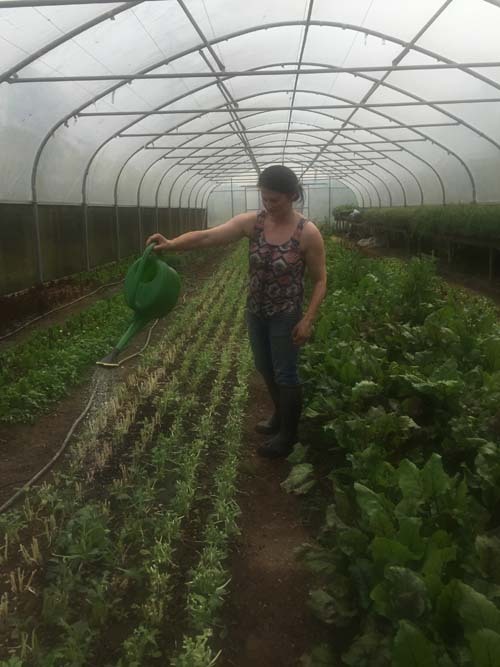 The field crops grown include broccoli, cauliflower, cabbage, Brussels sprouts, carrots, parsnips, swede turnip, purple sprouting broccoli, Romanesco & celeriac. Garlic will be planted in the next few weeks. Each year a plot is rested & planted with a green manure eg clover which will return valuable nitrogen to the soil, encourage beneficial insects and return valuable humus to the soil. All of this helps to ensure the soil flora & fauna is looked after. We use bio-net to protect field crops from insect & bird attack & try to avoid using chemical weed control by controlling weeds manually & mechanically. Check back soon for energy saving details.